It should hopefully come as no surprise that I have a lot of denim shirts in my closet. And when I say a lot, I mean A LOT. I have different washes, different colors, different sleeve lengths, different fits. The list goes on and on. 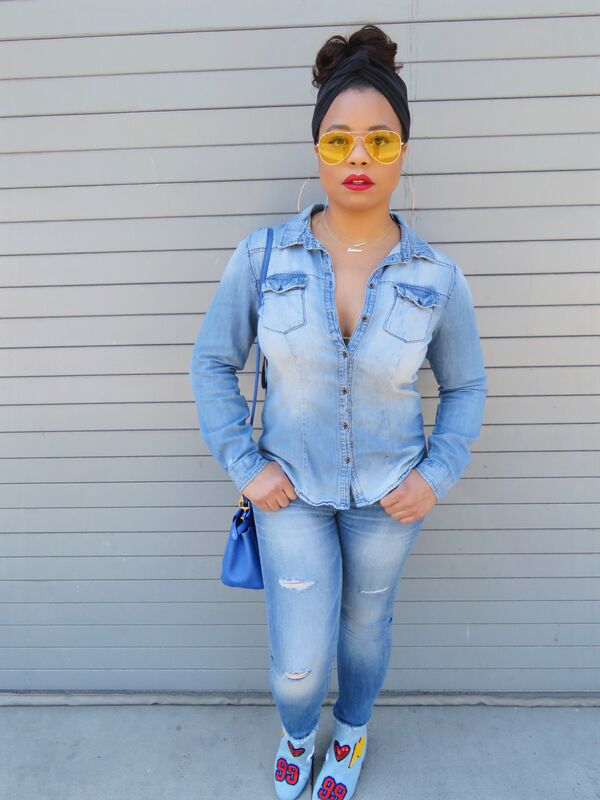 This particular denim shirt from H&M, though, is my absolute favorite out of the bunch. I have had it for years and it only seems to get better with wear and time. 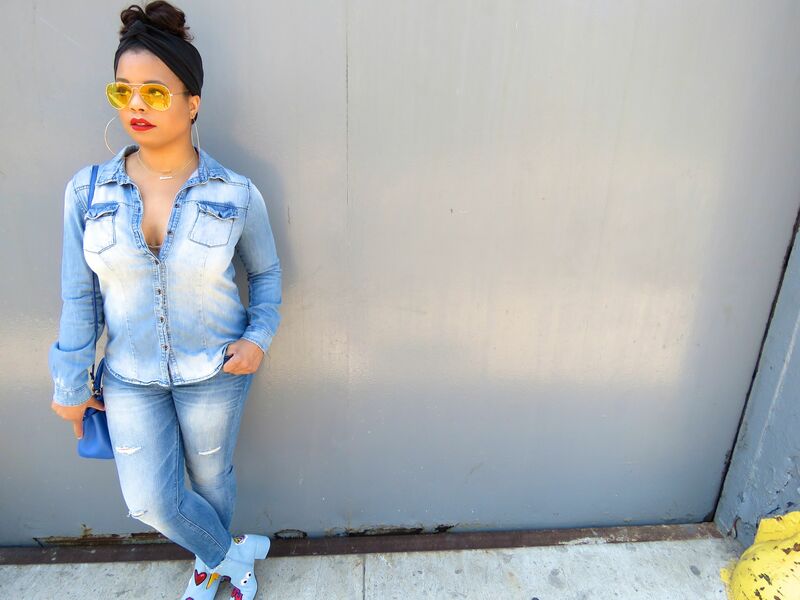 I have always felt the most myself and also the most comfortable when I’m wearing denim. To me, jeans are classic and timeless while also being rugged and strong. I want my personal style to reflect some of the same sentiments – polished and refined with a hard edge. 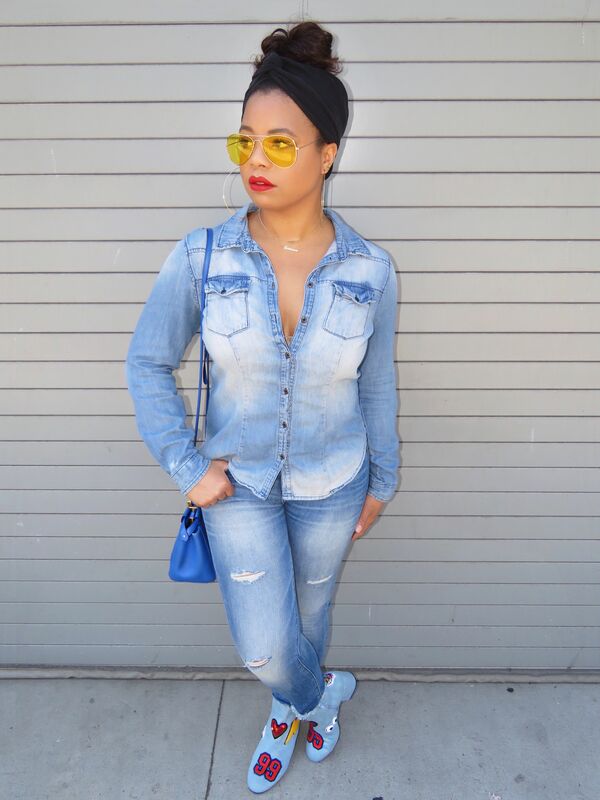 What better way to incorporate all those notions than with denim on denim. 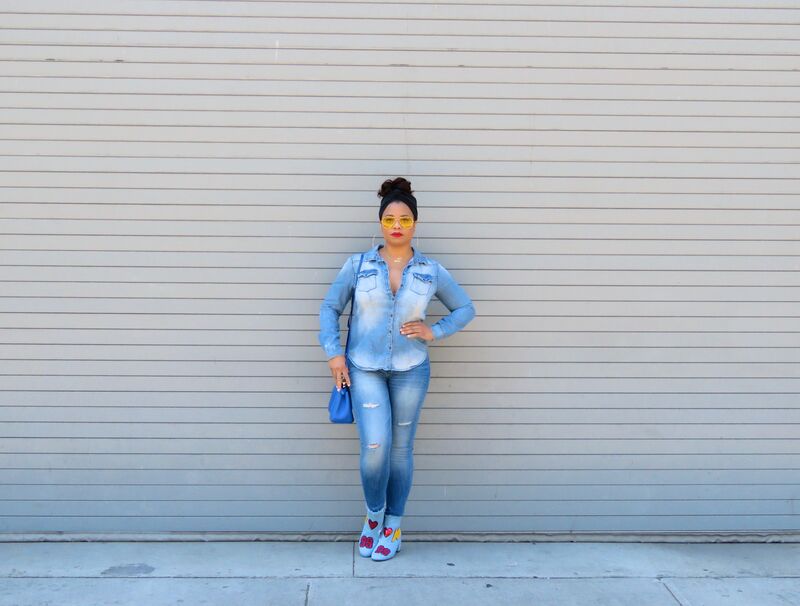 It is also so easy to dress up (or dress down) a Canadian tux and really make it your own. 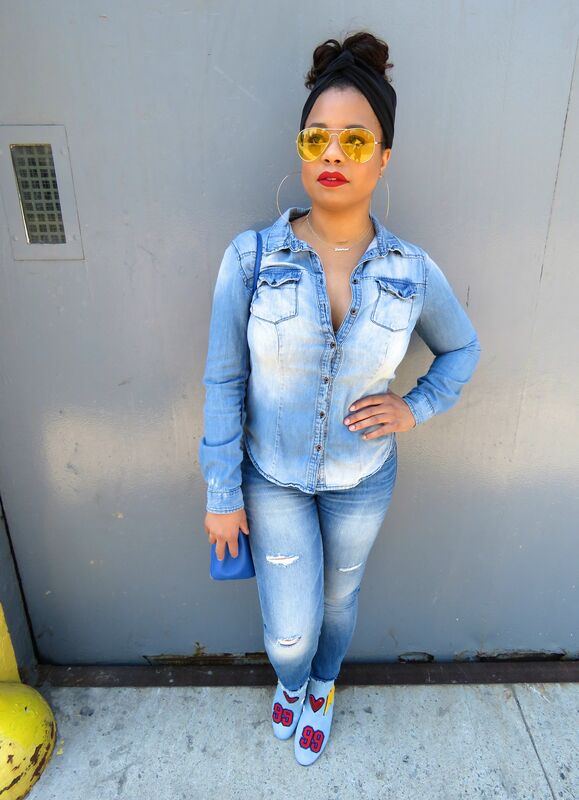 For me, wearing denim on denim allows my accessories, like my bright handbag, giant hoops, vintage sunglasses and eclectic footwear to really pop. I will always be a blue jean baby!